Yesterday, I posted a special Valentine’s Day round-up of 20 couples who met and married after they turned 50 (including me) so we could all in the cozy glow of love. As I researched the post and read everyone’s stories, I noticed how similar the journey each couple took to find each other was. 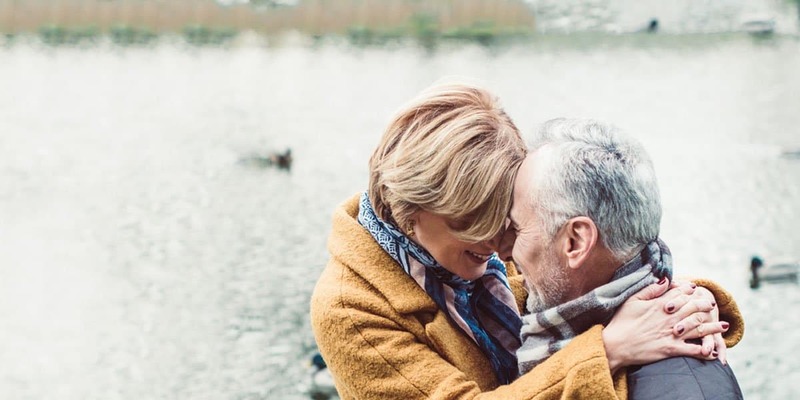 With that in mind, I’d like to share 5 tips on finding love after 50 that I learned from these true-life stories. For example, let’s say you want to be with someone with a great sense of humor who will make you laugh. That person is going to want to be with someone is filled with joy and loves to laugh. When I first got divorced, believe me, no one would have described me as “joy-filled.” It took a lot of time and inner work to get my joy back. I shudder to think of what kind of man the bitter, scared women I was then would have attracted. You have to love yourself before someone else will love you. Remember the list you made in Step 1? Take it out and keep it with you. I made a list of all the attributes I wanted in my partner and kept it in my wallet for years. I internalized the list so completely that I could typically tell within a few dates if a man was right for me. And if they weren’t, I either stopped seeing them or mentally placed them in a “just for fun” category. Having a clear picture of the partner I wanted in my head helped me to recognize that partner when he came along. It’s important to realize that your ideal mate may not look very much like your list. But if you’re clear about the qualities you must have in a partner and the qualities you absolutely don’t want, your list will help you choose the person that’s right for you. I still remember an online dating profile I saw once. The first sentence of it was “First, you should know that World of Warcraft is very important to me.” I laughed out loud when I read it and briefly thought about sending him a friendly email telling him that he wasn’t going to get a lot of responses with that profile. And then I realized something. That’s totally fine. Woman after woman might read his profile and think (as I did), “Next!” But someday his dream woman, a fellow World of Warcraft fanatic, will read his profile and know she’s finally found her prince. I can picture them now together, bringing pizza home on Friday nights and sitting by each other on the sofa happily every evening. A lot of people give you dating advice that amounts to “Hide Your Crazy” but I completely disagree. Always be your most authentic self. That’s the way to attract a partner who loves you for who you really are. And if you’re turning off too many people with your authentic personality, that’s a sign that you should probably spend some more time working on yourself. In retrospect, I’m not sure why I was so quick to dismiss my World of Warcraft-loving potential suitor. My ideal Friday is bringing home pizza and sitting side by side on the couch. 4. Get Out There. Or Not. Whatever You Feel Like. There really wasn’t any common theme about how the people in my post met their spouse. Some met through friends, others through online dating, and a shocking number of people married former loves who contacted them through email. You’re probably best served by doing whatever makes you happy. I took lots of evening courses during my singlehood (still do, actually) knowing full well the class makeup would be entirely women with one awkward man. That was totally fine with me because I was interested in the class subject. Moral of the story: Think about what makes you happy and do that. A happy person attracts other happy people. I’m astonished at the number of people (including myself) who connected with their spouse on Facebook. Even if you don’t have a sixth-grade boyfriend out there wondering what you’re up to these days (and you know what, you probably do), it’s fun to reconnect with old friends and make new friends with shared interests. If you have a hobby or interest, there’s a Facebook group just for you. I’ve met several Facebook friends in real life and we felt as if we were old friends from the first time we met in real life. It’s a great way to connect with people who lift you up. 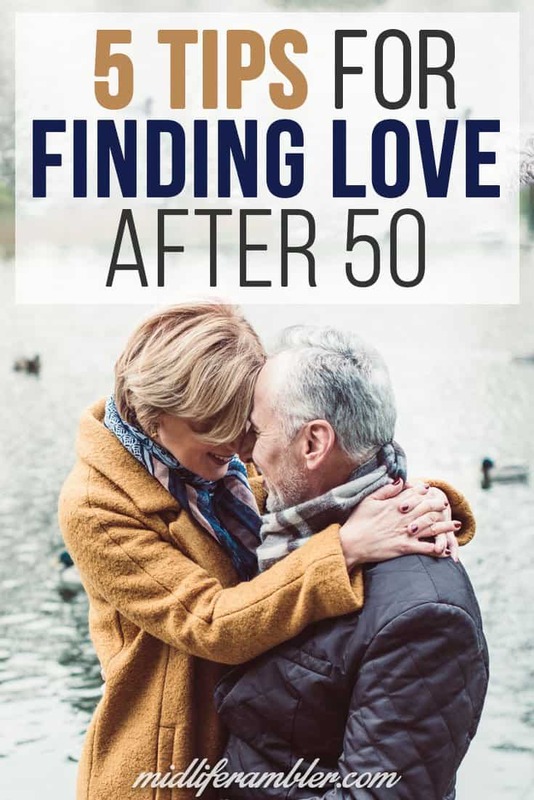 What tips would you give to someone looking for love after 50? What’s worked for you? I’d love to know.